Here we have Ms Flaherty’s 2nd Class dressed up as their favourite characters from books they love! What a colourful group! Well done girls and boys. Keep reading ! 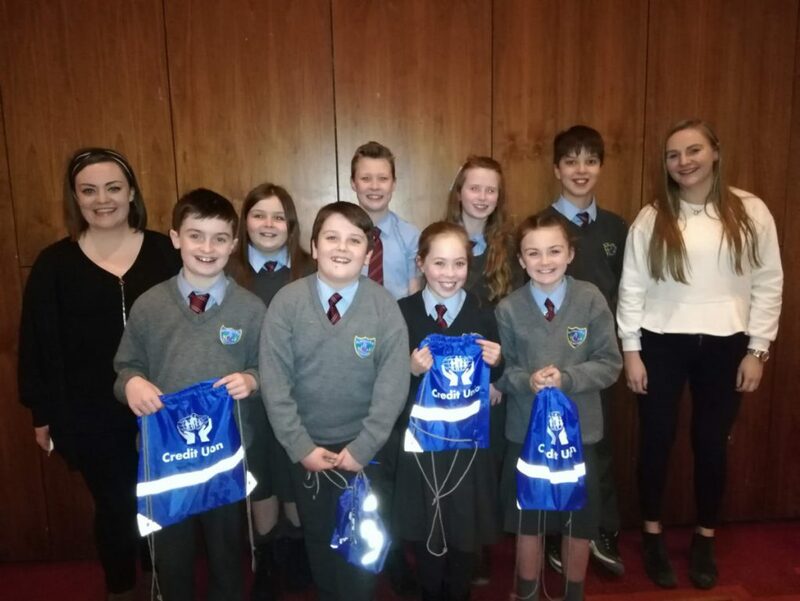 Pupils from 4th, 5th and 6th represented St Mary’s at the Córfhéile Primary Schools Festival in the National Basketball Arena, Tallaght, on the evening of Monday, March 4th! Well done to the choir and their choir mistress, Ms Biggs. 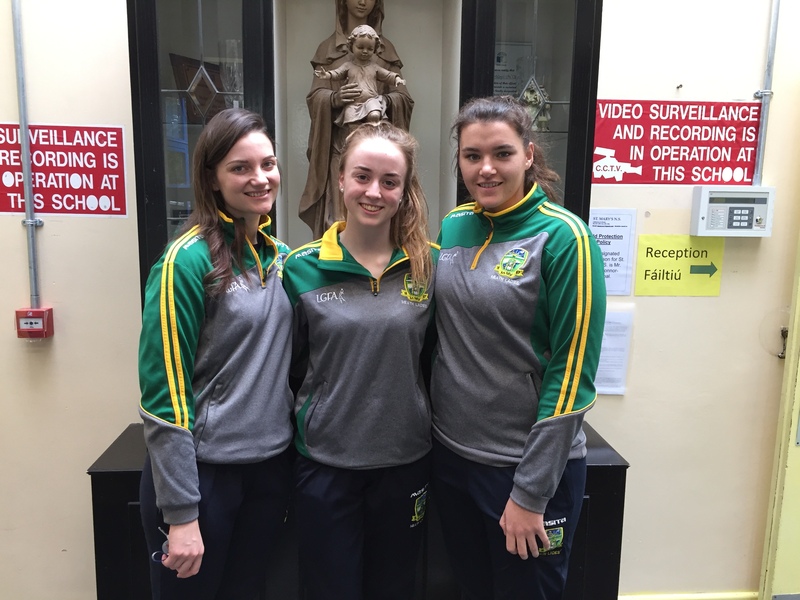 Click HERE to view a video of the choir at the Córfhéile recently. 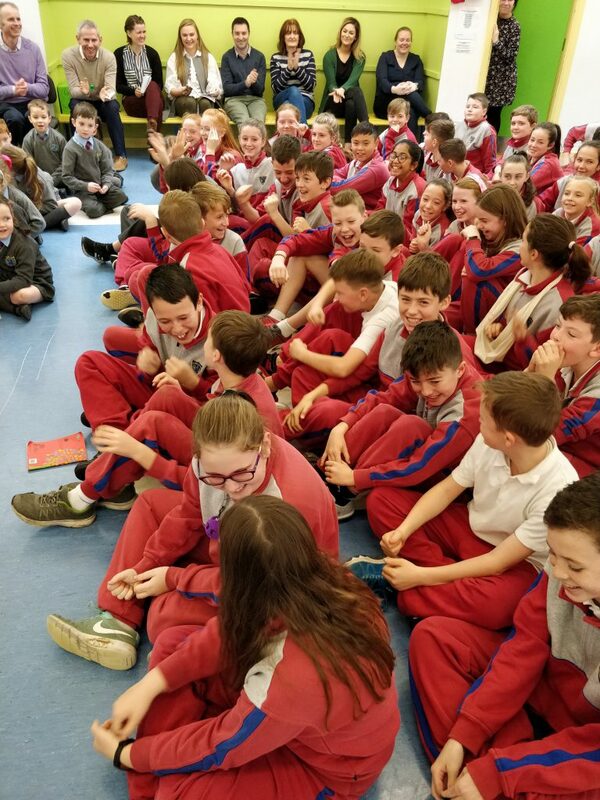 Congratulations also to Third Class who performed at the Córfhéile, playing their recorders on Thursday. Well done children and teachers!!! Click here for the video of their performance. 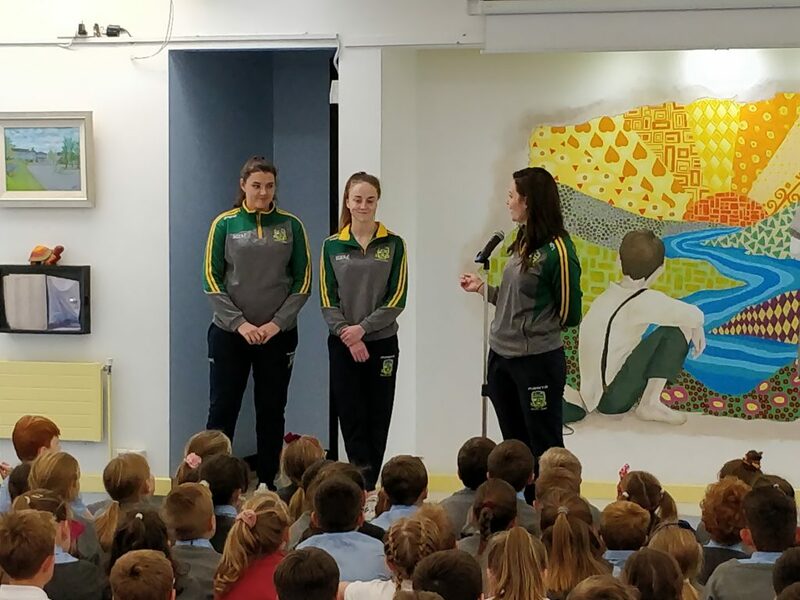 Séamus from ZEEKO gave talks to the 4th, 5th and 6th Classes recently, on Internet Safety. He also gave a talk to parents in the school hall the same day. We were delighted to see such a good turnout for this extremely relevant and informative talk. Change the culture! Say “NO!” to cyber-bullying! One very useful idea to encourage children to do fun activities in real-time was the “Balance Jar”. Fun real-time activities such as painting, playing football and more are written on ice-pop sticks. Before allowing our children to go online etc we can ask them to select a stick and go do that activity right there and then. The children go off and have fun! You then pop the stick into a jar to remind you of which activities have been done recently. According to parents who’ve used this idea, children really enjoy this approach and it helps to create a healthier mix of real-time and virtual activities for children! 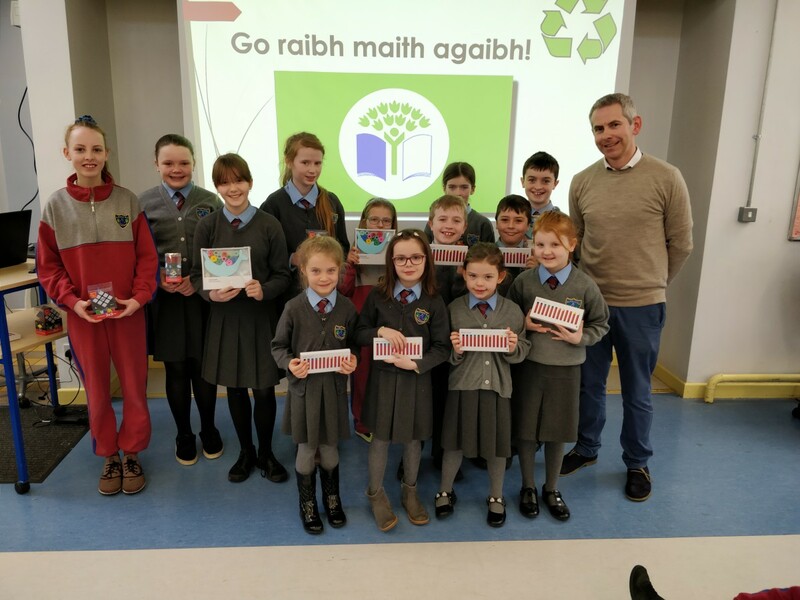 Pictured here, with Green Schools’ Coordinator, Mr Ó Brádaigh are the winners of the Green Schools Poster Competition. The standard was extremely high and the judges had a difficult job choosing the finalists. 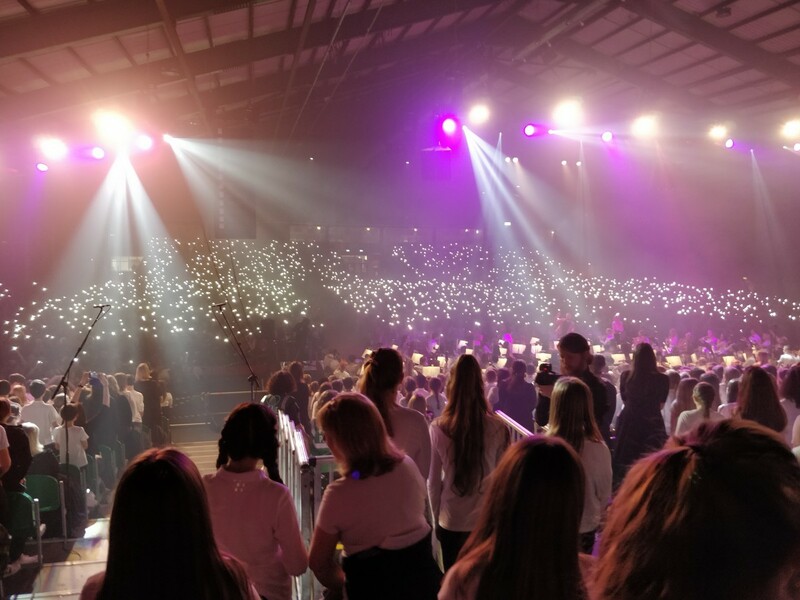 We had a great time at the RDS recently for the last night of the Peace Proms 2019. The music was out-of-this-world and every one of our forty-plus choir members performed beautifully. Thanks to Ms Wylde for organising the entire venture and to all the children who took part in our lunchtime rehearsals for months before the concert! We are tremendously proud of you all! 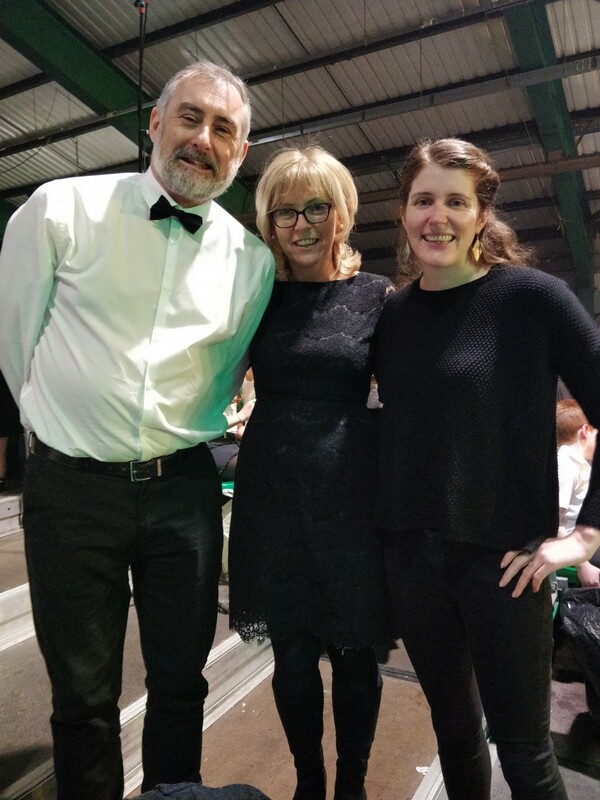 Ms Wylde, coordinator, and teachers, Ms Biggs and Mr O’Byrne, who were all so proud of the St Mary’s Choir in the RDS. 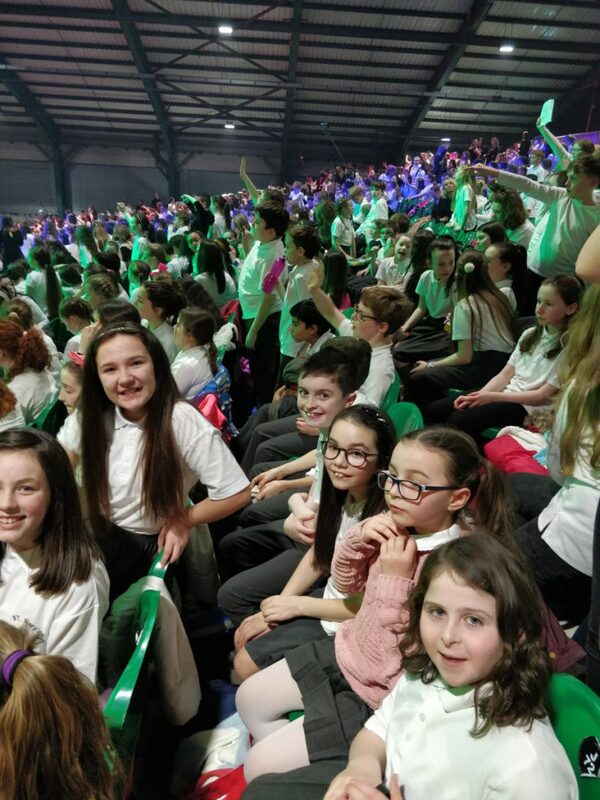 We are connected with thousands of other pupils around the country, all learning how to stay safe in the amazing world of the internet! Join us! 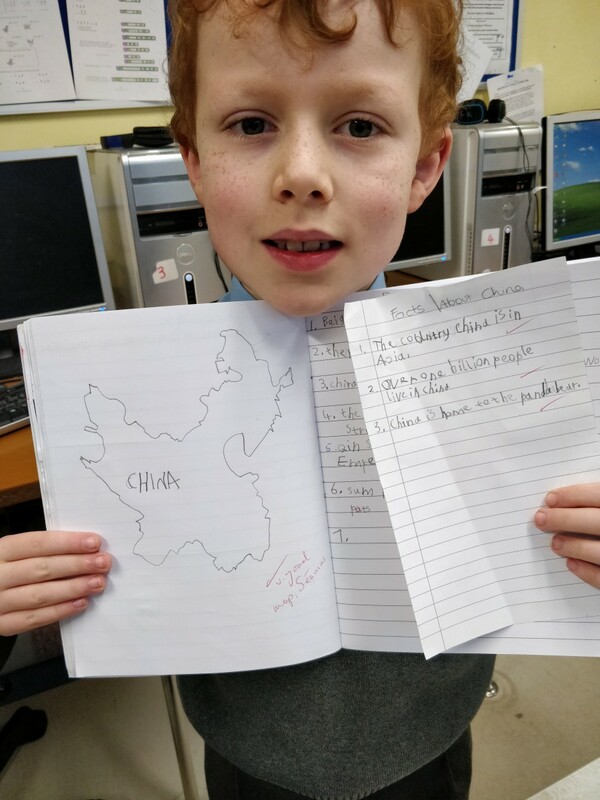 This is Séamus, with his amazing freehand drawing of a map of China. This amazingly accurate drawing was done recently when 2nd Class were studying countries of the world. 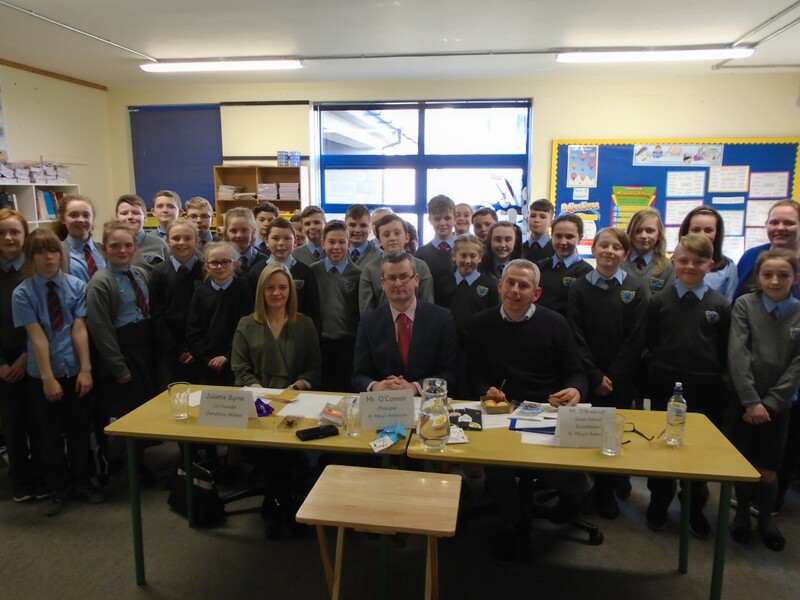 Pictured above is Ms O’Connor’s 5th Class following the judging of their projects in class recently. We are very proud of them all for their work. More details to follow… Watch this space! Kevin, coach of several under-age teams from Ashbourne Rugby Club paid us a visit this week to show us the European Champions Cup AND the Pro-14 Cup, both of which were won by Leinster in a very successful season! 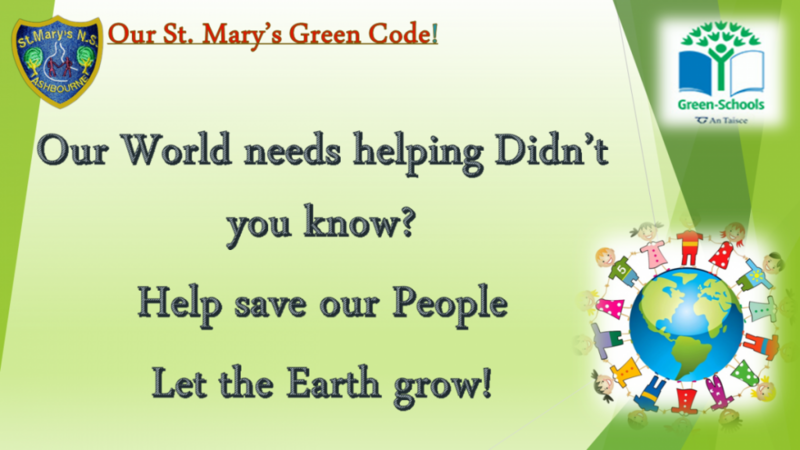 We have a new Green Code! 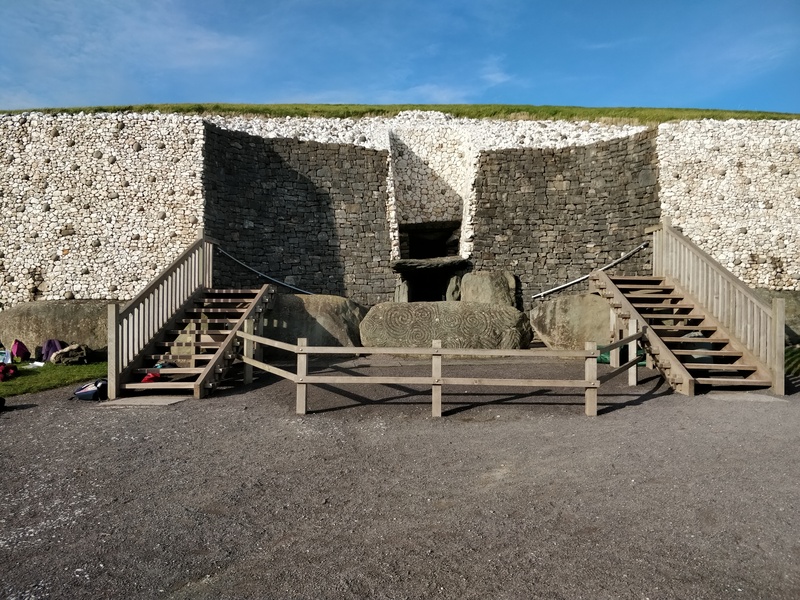 The Passage Tomb at Newgrange. The entrance to the tomb as visited by Sixth Class on November 13th. 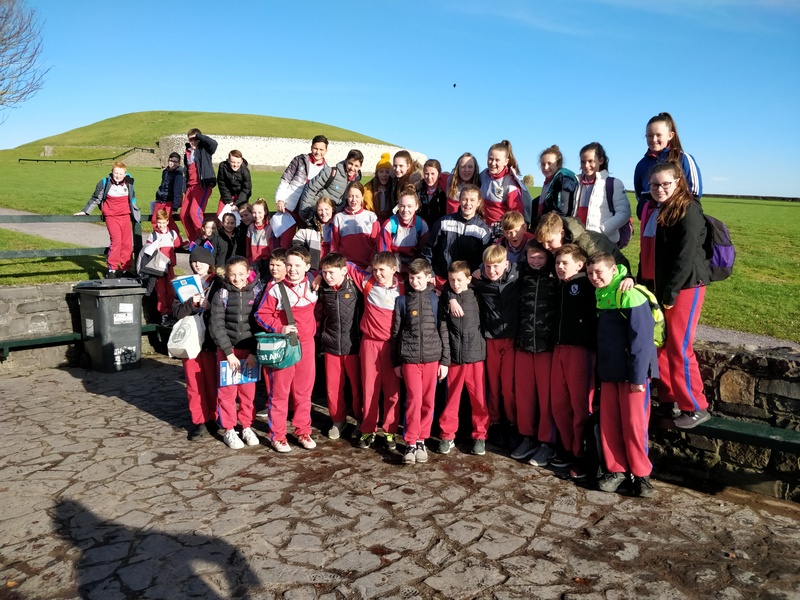 Ms Daly’s Sixth Class at Newgrange Passage Tomb. It was an absolute pleasure to be with this group of young historians. 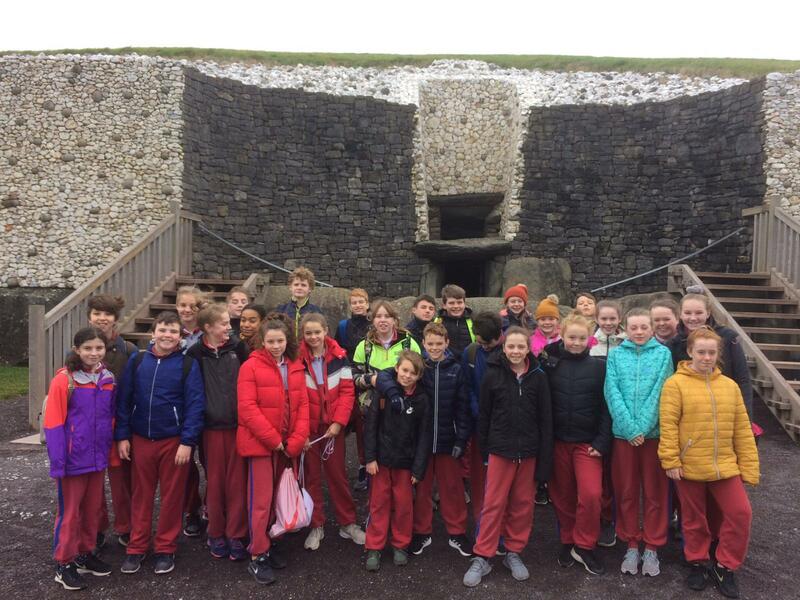 Mr Cawley’s Sixth Class outside the Passage Tomb at Newgrange. It was an absolute pleasure to go on this trip with these pupils. Coin Trail 2018 Winners Announced!!! At Assembly recently, Noreen Wilson from the Parents’ Association, announced the winners of the 2018 Coin Trail. The hall was buzzing with excitement and anticipation as each and every child wished for their class to be the one to win this year’s star prize of a class trip to Melt, Ice-Cream Parlour in Ashbourne!!! 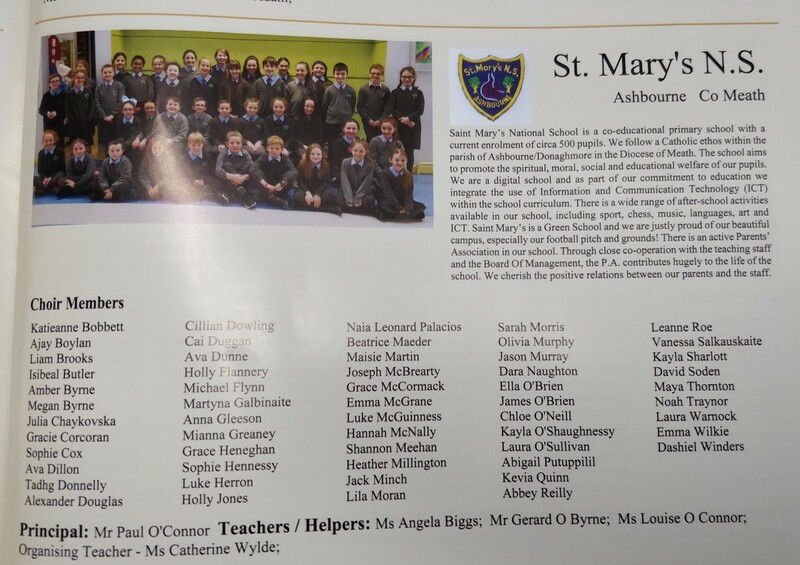 Ms Moroney’s 5th Class took 1st prize and Ms O’Brien’s 4th Class took second prize in the Senior Section. 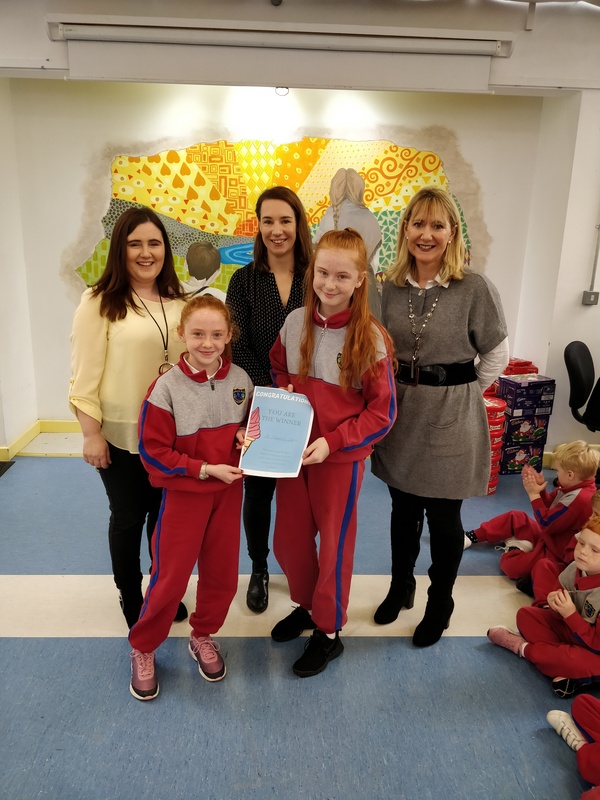 Above: Class representatives, Kayla and Heather, from Ms Moroney’s Class receive their Melt Invitation to Party from PA representatives, Noirin Wilkie, Rebecca O’Brien and Noreen Wilson. Ms Milligan’s Junior Infants Class took the Prize in the Junior Section. Well done to you all, girls and boys! 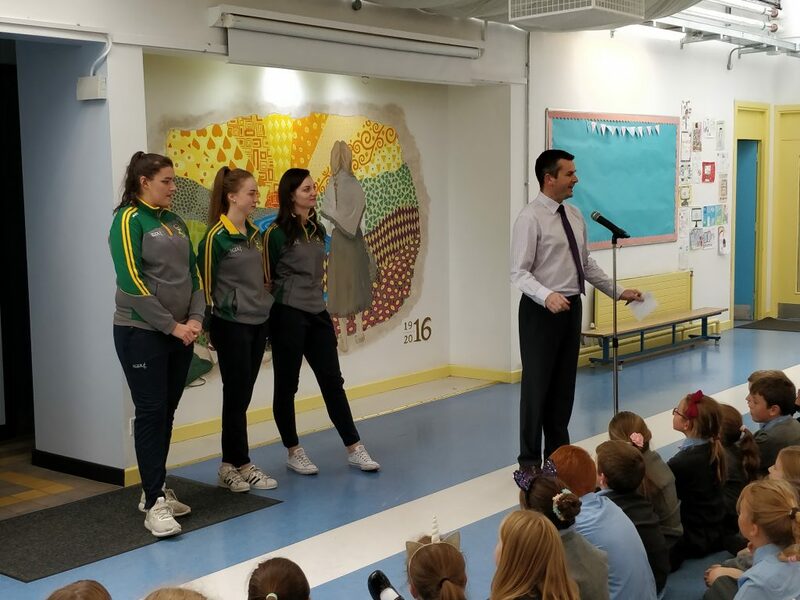 Mr O’Connor expressed his (and our) sincere thanks to EVERYONE who helped in any way. 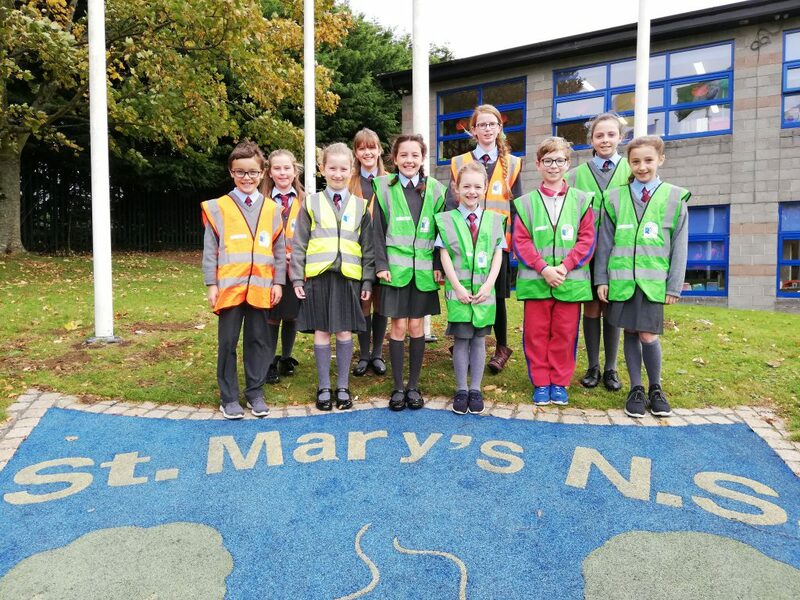 The monumental task of counting and banking the coins collected was cheerfully carried out by members of the Parents’ Association and we are really grateful! 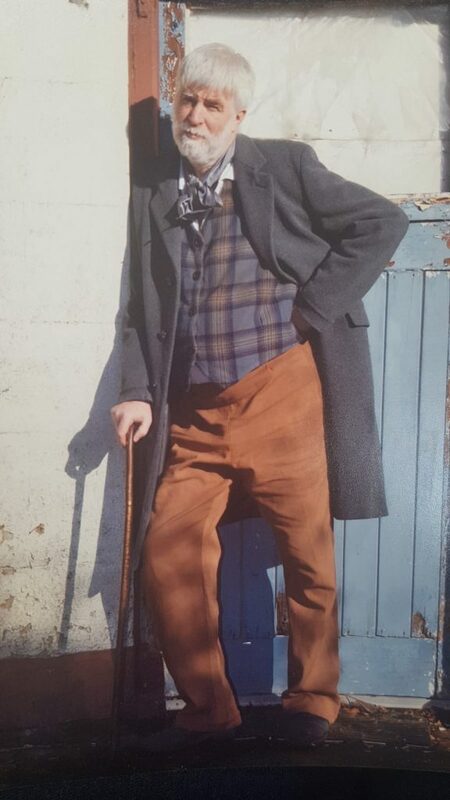 The final amount raised for the school was…..
Non-uniform Day for Kyle — From Us to YOU! 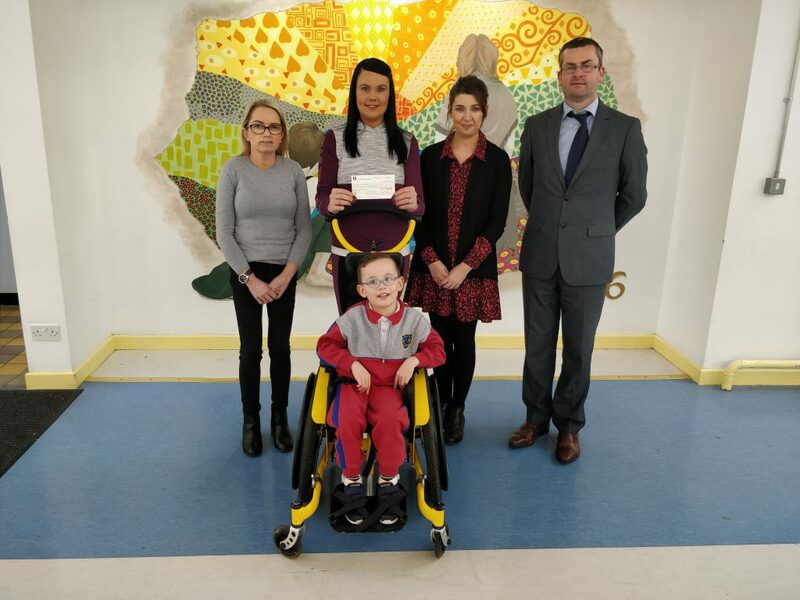 Above: Principal, Mr Paul O’Connor with the cheque for €1550 which he presented to Kyle’s mother, Janine, along with Kyle’s teacher Ms McGuone and SNA Ms Byrne. 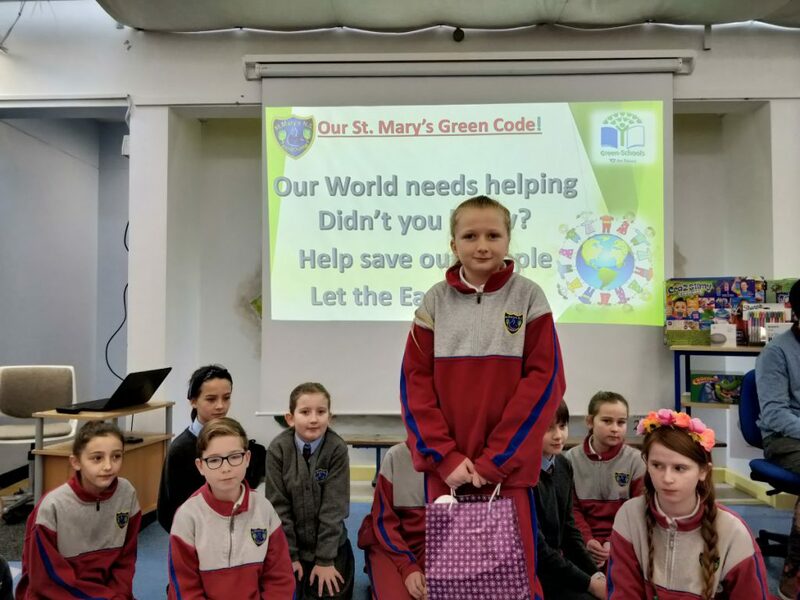 We are very happy to have been able to hold our first Non-Uniform Day of the school year for Kyle Fitzgerald in Ms McGuone’s Junior Infant class. The monies raised will go towards the fund dedicated to allowing Kyle access the latest treatment in the US aimed at enabling him to walk. Google, “Kyle’s Wish To Walk” to find out more and make a donation! 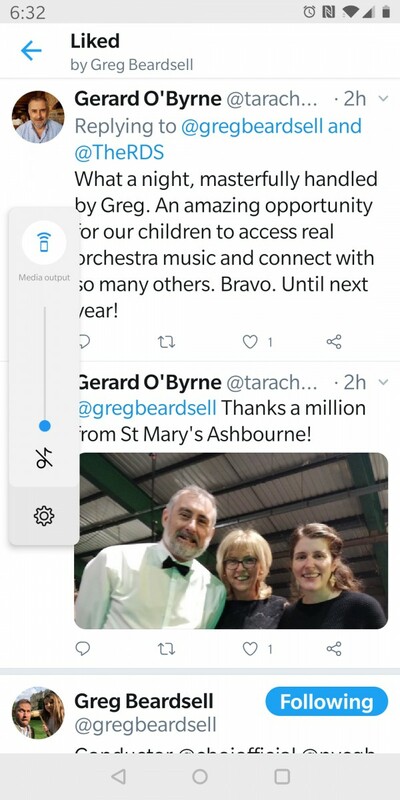 Well done and thanks to everyone involved. Thanks to everyone who dropped in a bag. We will let you know soon how much we made for the school. Meet the 3 delighted Halloween Raffle Winners with our Principal, Mr O’Connor. 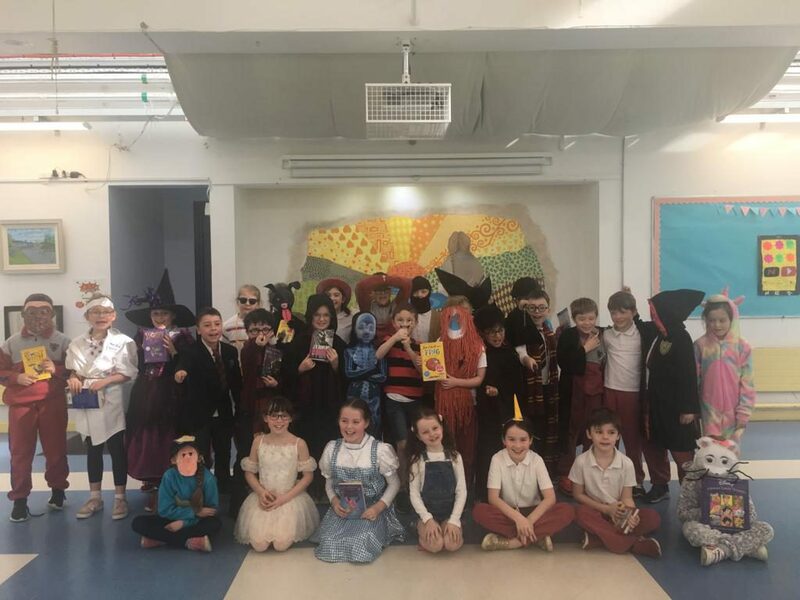 At Assembly recently, our Principal, Mr O’Connor thanked the Parents’ Association for organising three beautiful hampers full of Halloween treats for the Halloween Raffle. 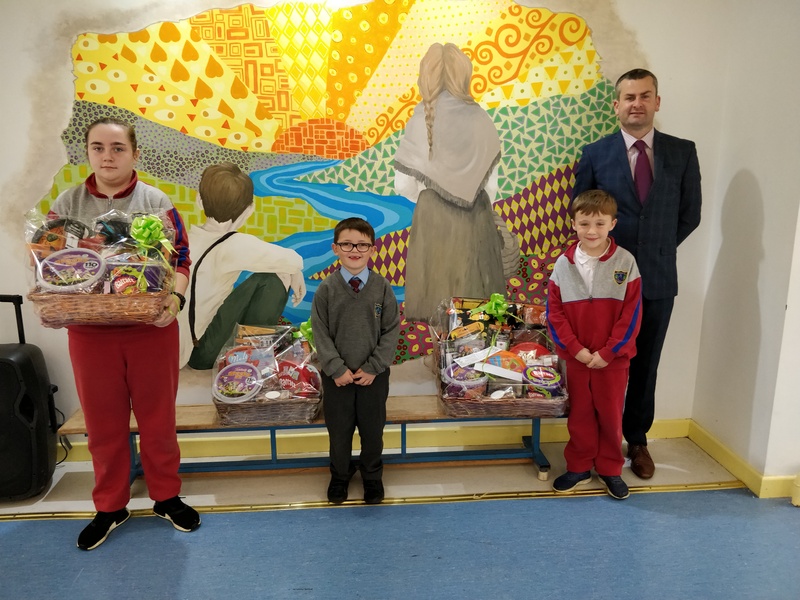 Assisted by pupils from various classes who drew out the tickets, Mr O’Connor was delighted to present the prizes to the three lucky winners, pictured above. Well done to everyone involved in this fun activity. 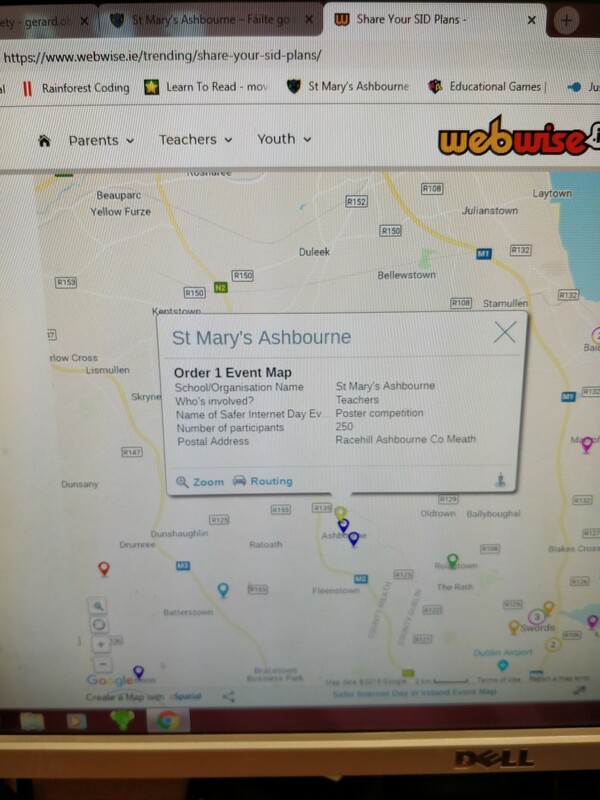 All funds will go to fund school projects for the benefit of all children in Saint Mary’s. Thank YOU for supporting us by buying tickets in such numbers!!! It’s time for a new Green Flag! If we are successful, this will be our seventh flag! The new Green Team was elected in September and they have been sharing their ideas and bringing ‘green messages’ back to classrooms! The theme is ‘Global Citizenship—Litter and Waste. 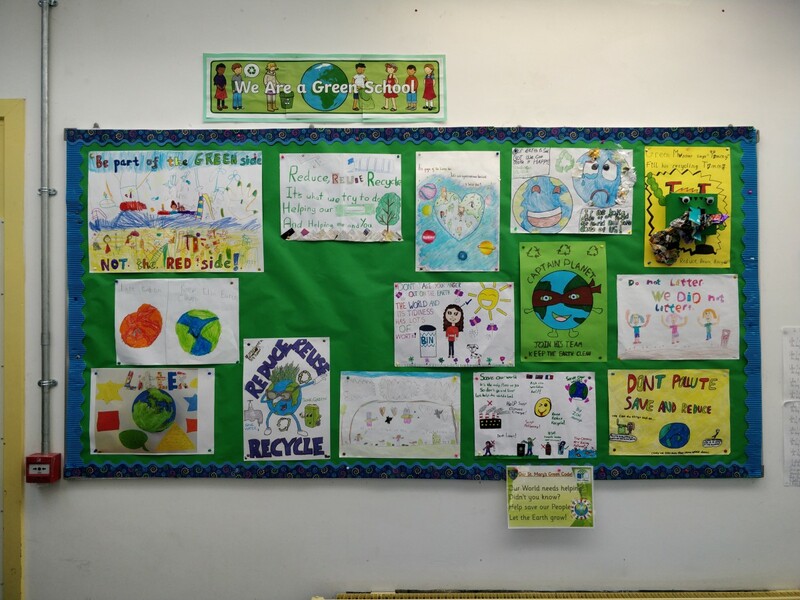 Do you have any ideas for our new Green Code? It must be short and catchy and easy to remember! There will be a suggestion box at the Green Notice Board in November. If we pick your code, you’ll win a great prize! Meanwhile, keep to the motto: REDUCE, RE-USE, RECYCLE! We held a Fire Drill in school recently. Everyone was really impressed with the way the children responded to the alarm so quickly and so calmly. We emptied the school in under two minutes! You might try a Fire Drill at home to make sure that everyone in your house can get out quickly and safely! Good luck. 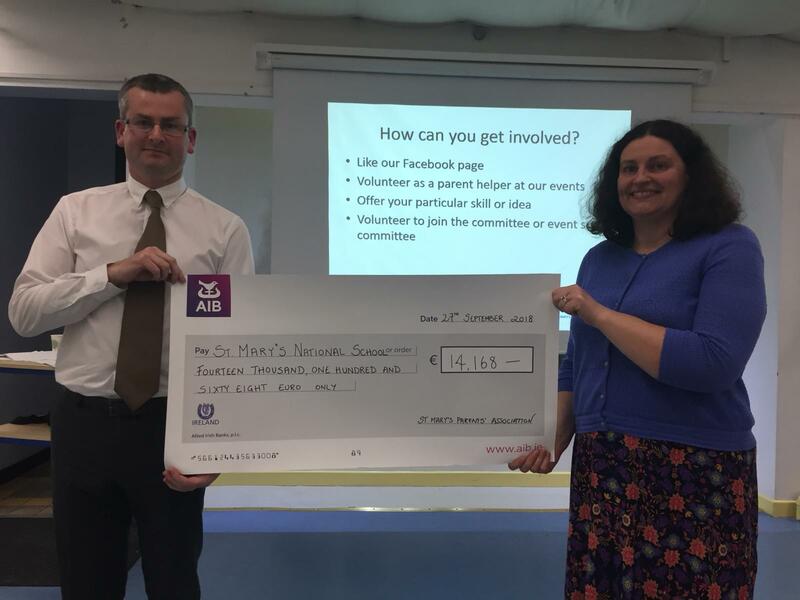 A delighted Saint Mary’s Principal, Mr Paul O’Connor is presented with a cheque in the amount of €14,000 by Ms Aoife O’Shea, Vice-Chair of the P.A. This cheque represents the amount of money raised for projects within the school, by the Parents’ Association in the past year. 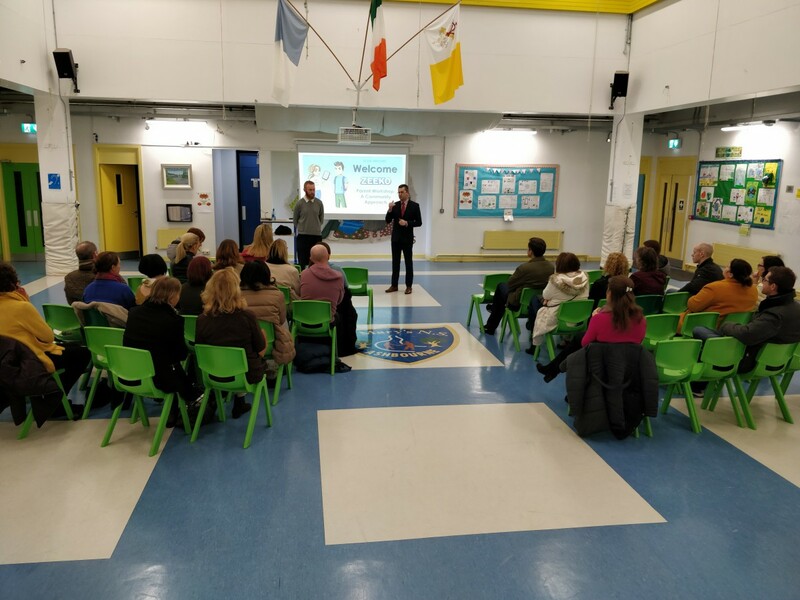 The Saint Mary’s Parents’ Association AGM was held in September in the School Hall. 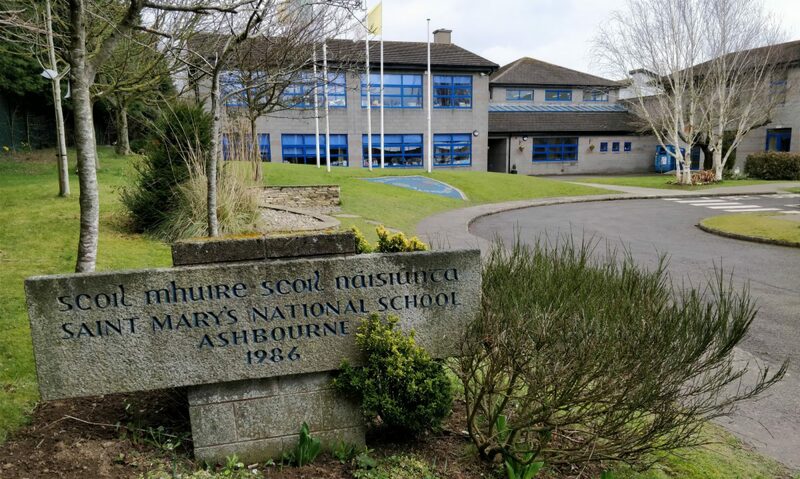 Our new Principal, Mr O’Connor was present to hear a full report of the Association’s activities during the past year. The meeting, chaired by Ms Johanne Maher, was well attended and extremely informative. Johanne gave a Powerpoint presentation on the fund-raising events held during the year and explained how things work. Several new members joined on the night. The new committee have promised to be just as active this year as they were last year. The first activity of the year, “The Coin Trail”, was a huge success. The prize was a class outing to Melt, the ice-cream parlour in Ashbourne! 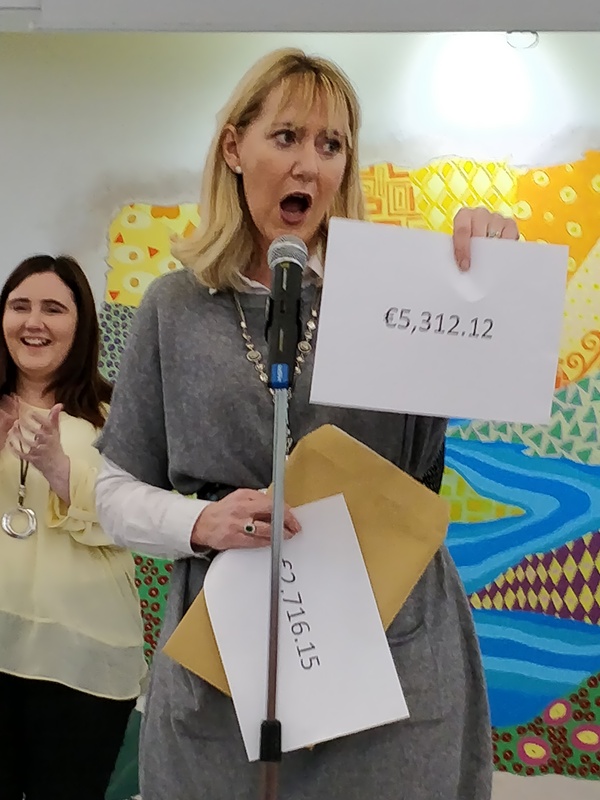 With every cent of the over €5k raised going to fund projects to benefit ALL school pupils, everyone’s a winner! Click HERE for Advice on Internet Safety! We are all very excited to welcome our colleague Paul in his new role as Principal of our school. 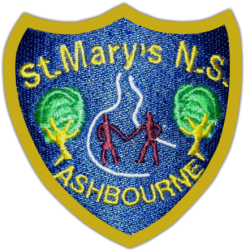 We are certain that he will continue to promote the positive ethos of Saint Mary’s to the benefit of the pupils , the parents and staff. We are looking forward to the future with you at the helm.